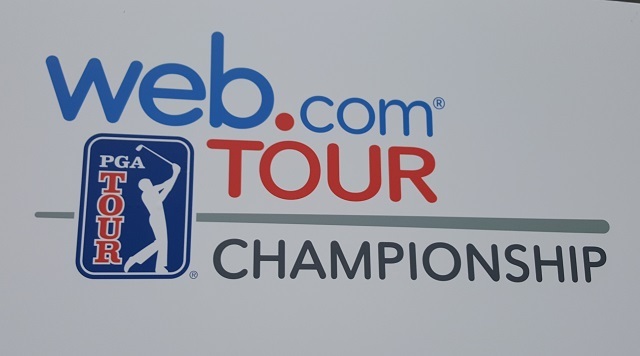 From The Bahamas, to Latin America, to Mexico, and to eighteen states in America, the Web.com Tour Championship has arrived in Florida. Last, but not least, and certainly the most major event of the year—the Web.com Tour Championship—starts tomorrow at the Atlantic Beach Country Club. 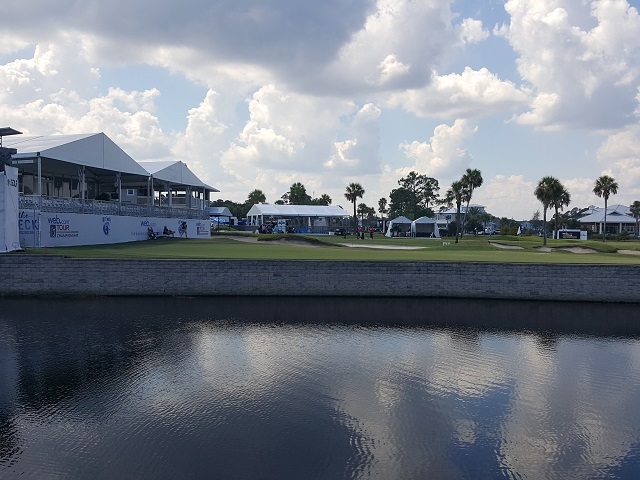 Outside of Jacksonville, Florida, about 10 miles due north of the home club of PGA TOUR members—TPC Sawgrass—there are 25 memberships yet to be given out at the conclusion of play on Sunday. Not your ordinary club memberships, these FINALS 25, plus the Top 25 already earned in the regular season, these tour cards come with the right to compete on the PGA TOUR during the 2018-19 Season! Those Top 25 earned and guaranteed 2018-19 tour cards from the regular season include (in order of combined FINALS and Regular Season earnings) Sungjae Im, Kramer Hickok, Anders Albertson, Sam Burns, Scott Langley, Cameron Champ, Martin Trainer, Kyoung-Hoon Lee, Sebastián Muñoz, Kyle Jones, Alex Prugh, Chase Wright, John Chin, José de Jesús Rodríguez, Adam Svensson, Josh Teater, Carlos Ortiz, Wyndham Clark, Adam Long, Julián Etulain, Chris Thompson, Joey Garber, Brady Schnell, Roberto Castro, and Hank Lebioda. 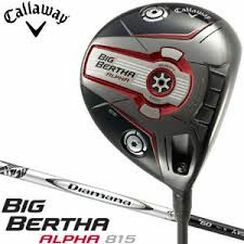 Six of these guaranteed, already appointed PGA TOUR members for 2018-19, are not playing this week—Sungjae Im (No. 1), Sam Burns (4), Alex Prugh (11), John Chin (13), Joey Garber (22), and Roberto Castro (24). Sungiae Im has the No. 1 spot on the combined Regular Season and Finals locked up by a mere $165 over Kramer Hickok. Even if Hickok wins this week he cannot overtake Im; his $180k winner’s check will fall $165 short. 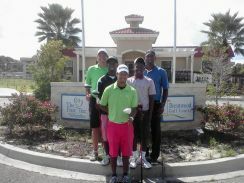 The above guys are golden no matter what happens at the Atlantic Beach CC this week. The final outcome may well come down to the par-5 18th at ABCC, the only hole that Jack Nicklaus ever double-eagled on tour! As of now the “FINALS 25” include the winners of the first three FINALS events—Sangmoon Bae, Kramer Hickok, Robert Streb—then in order of FINALS Money List: Peter Malnati, Matt Jones, Anders Albertson, Hunter Mahan, Adam Schenk, Cameron Davis, Seth Reeves, Max Homa, Roger Sloan, Denny McCarthy, Shawn Stefani, Roberto Díaz, Stephan Jaeger, Dylan Frittelli, Curtis Luck, Jim Knous, Michael Thompson, Nicholas Lindheim, Aaron Baddeley, Joseph Bramlett, Lanto Griffin, and Wes Roach. Since Kramer Hickok and Anders Albertson have previously qualified for their tour cards, Nos. 26 and 27, Scott Pinckney and Brian Campbell, respectively, would earn their tour cards if nothing changes this week. Things will change this week and the next five on the bubble hoping to advance (excluding Alex Prugh and Kyle Jones who have also previously qualified for their 2018-19 tour cards) are: Justin Lower, Henrik Norlander, Ben Crane, Fabián Gómez, and Matt Every. This will be an exciting week at Atlantic Beach CC! 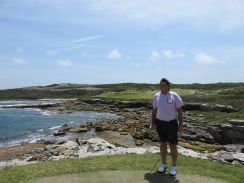 Already, it’s been an exciting year on the Web.com Tour with spectacular golf being played at the optimum moment in the careers of these young and seasoned professional golfers! Both Michael Arnaud and Alex Prugh have posted scores of 60! 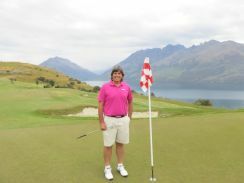 Arnaud’s 11-under 60 was in the second round of the BMW Charity Pro-Am presented by SYNNEX Corporation. He would post 65-63 on the weekend and win by five strokes. Prugh’s 10-under 60 was also in the second round. Unfortunately he followed the 60 with a 72 and finished well back of Trevor Cone in the Ellie Mae Classic at TPC Stonebrae. Both players posted an 8-under 27 nine-hole score on the way to posting those two rounds of 60. Arnaud had the hottest streak right off-the-bat, or I mean golf club, going 9-under in the first seven holes (B-E-B-B-E-B-B) of posting that round of 60. He reached 11-under through 16 holes, only to par his final two holes for a course record-tying 60. Arnaud’s 27-under 257 total was the record 72-hole score this year on the Web.com Tour. The best come-from-behind on the last day to win so far this year was six strokes by both Scott Langley in the Panama Championship and Cameron Davis in the Nashville Golf Open Benefitting the Snedeker Foundation. In the first three tournaments of the FINALS: Robert Streb won the Nationwide Children’s Hospital Championship on the Scarlet Course at The Ohio State University in Columbus; Kramer Hickok won the DAP Championship presented by NewBrick at the Canterbury Golf Club in Beachwood, Ohio; Sangmoon Bae won the Albertsons Boise Open presented by Kraft Nabisco at Hillcrest CC in Boise, Idaho. 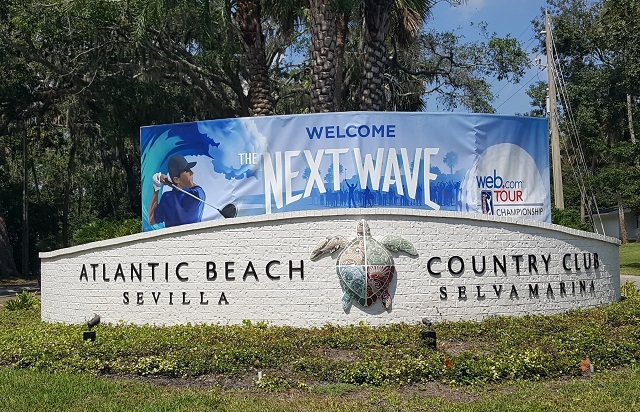 Who will win the 2018 Web.com Tour Championship this week at the Atlantic Beach Country Club, in Atlantic Beach, Florida?